Farmers and animal advocates will give Cincinnatians plenty to chew on in the coming week, during two public discussions of Ohio’s proposed farm animal cruelty prevention bill. By requiring that pigs, chickens, and veal calves have enough space to stretch their limbs, the bill would require the state’s industrial mega-farms to operate more like the small, traditional animal farms which they have squeezed t o a small corner of their market. Aimed at protecting animals, the bill would likely reduce the competitive disadvantage at which these small farms find themselves. In the long run, farmers and “slow food” enthusiasts hope it might keep small-scale farming viable for younger generations. 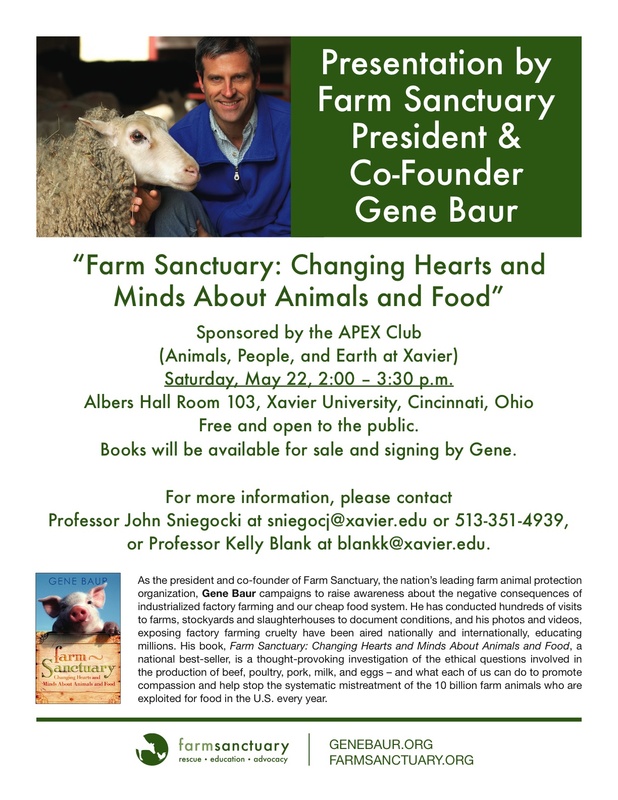 Gene Baur, president and co-founder of Farm Sanctuary, will speak Saturday afternoon about his work and Ohio’s bill.